Yeah, but: Who doesn't love little bits of metal? The Long Version: To give credit where it's due, I learned about TT Pockettools because of a review on the excellent Every Day Commentary blog. The author of that site is phenomenally hard-working, and there's a fair bit of overlap in our interests. If he starts getting into cameras, I may have to close up shop. 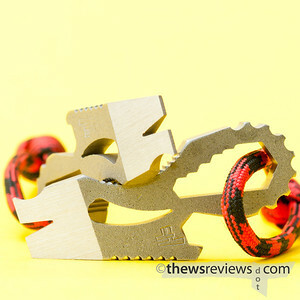 TT Pockettools makes something called a 'one piece multitool' or 'keychain tool'. 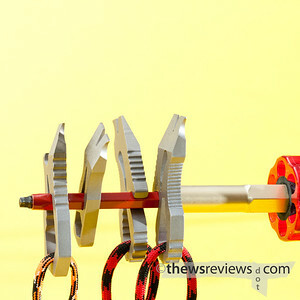 Essentially, these are ingeniously shaped bits of metal with edges and cutouts designed to do different things. I've been vaguely aware of these things for a while, but not really interested until I saw that fateful EDC review and read those two magic words: "Snag Edge". 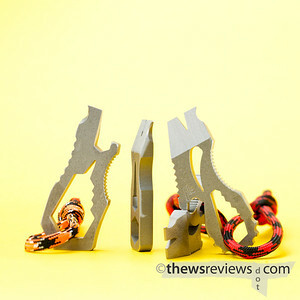 It's something that sets TT pocket tools apart. On the narrow end that's designed to be used as a screwdriver, nail puller, and/or pry bar, there's also a little notch that comes to a semi-sharp point. 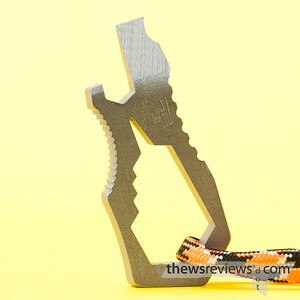 It's designed to replace a key or ball-point pen as an impromptu cutting implement, which it excels at. I've tried it on packing tape and medium-weight plastic; as long as its victim is under tension it cuts like a knife with little chance of incidental damage to whatever else is nearby. Fibrous material, like cardboard or reinforced tape, don't give up quite as elegantly but shallow depths can be hacked through. Since I started carrying them I've needed my pocket knife a lot less. 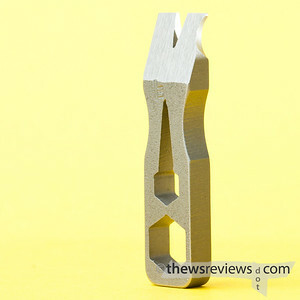 Another interesting feature of the TT tools is that they're machined to work with a standard hex bit. Two of the styles that I ordered would be used like a wrench, where the tool doesn't enclose the bit, while the third slips over the bit and works like a "T" handle. This came in handy when I was tightening a faucet handle with very bad access – it's not going to replace my Picquic, but definitely more than a gimmick. These pocket tools are smaller than they look, so the nail puller is perhaps a trifle ambitious. I drove a finishing nail a short distance into a dry cedar fence board, and there was no way I was taking it out with something just 2" long. It did come in mighty handy when I had to remove four dozen industrial twist-ties that were loosely sealing some plastic bags, though, so never say never. The 'gripper' function is handled by the curved surface with fine jimping, as its diameter fits bottle caps for a little extra leverage. The two models that offer that also have bottle cap openers, which makes them exceptional companions for beverages. Me being me, I bought two tools for myself, another as a gift, and picked up a fourth for a friend while I was at it. The tremendous thickness of the steel – almost a quarter inch, dwarfing my Helle Viking knife – makes them easy to hold and indestructible. Their price is quite reasonable, shipping within the USA is included, and the additional penalty for being Canadian is modest. I can also say that the maker is a pleasure to deal with. I placed an order late on a Thursday and they were in the mail before I woke up the next morning. The last time I had that happen I was dealing with someone in Japan, and he had time zones on his side. So, with my blanket endoresement out of the way, I do have some thoughts on the specific models. The Chopper is the tool that was reviewed by Every Day Commentary. I think it's the best looking, and is my favourite. The shape of it makes the snag edge handle a little more like a traditional box cutter, and it's very comfortable to hold. It's also very nicely machined, with different jimping everywhere that would benefit from it. It's an impressive little bit of work, and if I was to choose only one, this would be it. 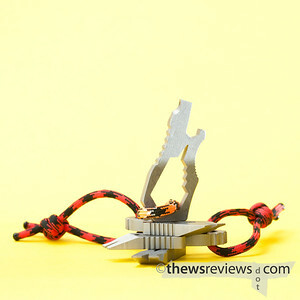 The EDC review covers this one perfectly, so I'll move on except for one little note: the Chopper is now out of stock, and TT Pocket Tools is working on a revised model. I can't imagine what the maker could find to improve, but I'll be very interested to see the results. The Simple is the other tool that I bought for myself. I expected to like it more than the Chopper, and do love the mini pry-bar aesthetic. But its straight edges and minimalist design mean that it's not as comfortable to hold, or as much fun to play with. Still, I don't need a bottle opener, and really like that it can form a proper handle for a hex driver bit. I imagine that this will be attached to my camera bag when I travel, as it's more robust and versatile than the Slice™ that I'll sometimes use to open the packaging on 120 film. If there's a new revision of the Simple, all I'd really want is the curved gripper jimping added to the side cutouts. They're probably too shallow to have much use as a bottle-cap-turner, but it would make the tool easier to hold – if slightly less simple. The Keeper is the model that was picked by a friend, and he chose it for the superior bottle-cap opening possibilities of its design. While it has the smallest pry surface of the three, I can see it being extremely practical overall, and it's also quite comfortable to use as a tape breaker. The larger cutout of the box wrench portion is probably more practical than that on the Chopper for household tasks, and makes for a good hold. There is a fourth design, the Skull, which I didn't order and is also out of stock. Its tools are very similar to the Simple, but with a skull motif that probably makes for a comfortable grip to use as well as being a great conversation starter. One-piece multi tools, with one paticular brand as a prominent exception, remain something that I'm only vaguely aware of. I tried looking into them a little more, but was quickly turned away by novelty designs and collector's editions on one side, and factory-stamped swizzle sticks on the other. Don't get me wrong, I can geek out with the best of them – feel free to hit some of my camera reviews – but I think that TT Pocket Tools has ruined me. They're practical but with a strong guy-toy value, are excellent designs, and are made by someone who cares about what he's doing. Something tells me that I'm going to be a repeat customer.